Big cats are my favorite animals. 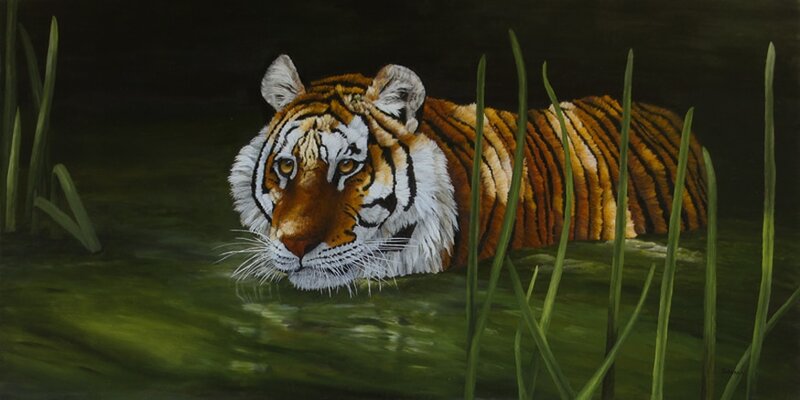 For this painting, I imagined a tiger in his natural habitat, wading in the water as he stalks his prey. I wanted to portray the natural instincts of a tiger.